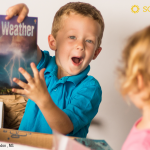 I read this article and wanted to share it with you: Why We Have a No Toy Policy https://blog.sonlight.com/no-toy-policy.html. Yes, I have a No Toy Policy. 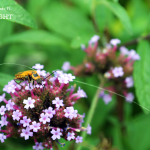 Before you think we have read The Life-Changing Magic of Tidying Up and have gone over the Feng Shui deep end, let me share an observation that happened about sixteen years ago while visiting a new friend. As we were enjoying our coffee, we heard a toy avalanche from the other room. The boys had dumped two huge tubs of toys to find matching tractors to play with. If you have ever owned a toy box, you are familiar with this horrific sound. My friend just shrugged at the overwhelming mess. Her son was the first grandchild with an abundance of uncles and aunts. This extended family was as excited about this little guy’s birthdays as he was; milestone events were typically celebrated with a pile of toys. My friend couldn't see a way out of this toy-dumping merry-go-round without breaking everyone’s hearts. As we cleaned up the mess, I knew this was a problem I did not want to have in the future. With any number of kids, there is the potential to get overwhelmed with heaps of junky plastic baubles. 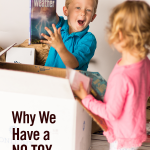 Besides the clutter, there are also many toys on store shelves my husband and I did not want to bring into our home because of the messages they send to our children. After talking it over, we devised our No Toy Policy. We called the extended family and explained how we wanted to choose the quantity and kinds of toys that entered our home. We requested everyone please refrain from large gifts and enlisted their help to curate our high quality toy collection together. Our families were very happy to help us create the home environment we desired. As we have stood by this No Toy Policy for the last eighteen years, we have been grateful for its main four benefits to our family culture. There were years that were lean, and years that were plentiful, but the kids didn't notice the change because we were consistent in our giving habits. Because they were getting fewer typical toy gifts, we could choose to give higher quality playthings. We found that these gifts lasted a long time and were well loved because there were fewer distractions. In a home with ten children, I am amazed to say that many of the toys we have bought over the years are still being enjoyed by the younger children. When at all possible, we asked for or purchased a pass that included grandparents or a guest in order to include extended family in our family outings. As a bonus, these trips often connect to our Sonlight studies, so we are taking field trips while bonding as a family. Grandparents aren't always going to like your requests, and since they birthed you or your spouse, they deserve a little give and take. For example, there was the year my husband’s mother revolted against the No Toy Policy. That Christmas morning she presented each child—bless her soul—with an electronic toy of some sort. Each toy was about the size of a laundry basket and had seven flashing lights which responded to touch with accompanying sounds. Her living room felt like the mid-way at the State Fair, minus AC-DC singing Thunder Struck. I got the message that Grandma was sick of buying jeans and jammies, so we got creative. 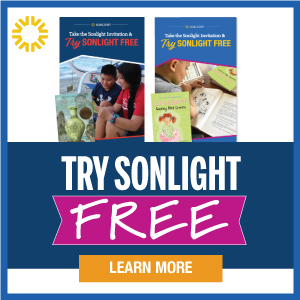 Sonlight offers art kits, a microscope, summer reader packs, and more. By sharing these suggestions, our family avoided toy overload, got to experience new hobbies, and Grandma was very happy about the new arrangement. Because homeschooling is a priority in our life, we make smart financial choices to accommodate this learning lifestyle. To stay at home and educate my children, I gave up a full-time income. 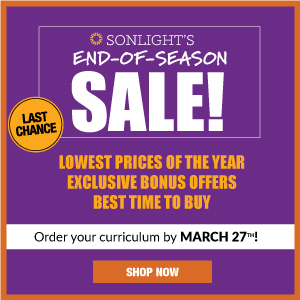 Saving money is also part of our homeschool lifestyle so that we can both make ends meet on one income and also invest in a high quality literature-based curriculum. 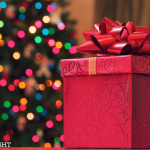 Recently, I read an article where parents responded about their common Christmas spending habits. They stated that they spent from over $100 to upwards of $800 on each child. That same year, we had purchased gifts for twelve of us at just under $600, total. It was one of our most fun celebrations. Because of our No Toy Policy, we are forced to shop wisely. Compared to many families, we spend far less on holidays and birthdays, but we have never stopped having great celebrations. Curating our children’s interests was a skill we developed over the years. And while we said no to waste and clutter, we said yes to high quality books and learning tools that we will cherish for years to come. The result was meaningful gift exchanges and increased gratitude. Homeschooling is about enjoying your home as much as it is about educating your children. Our No Toy Policy might seem over the top at first glance, but I am sure you have seen homes where toys rule the day. They are quickly broken and discarded. 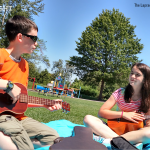 With fewer toys, our kids create, find, and build their own fun. We saved money by using our season passes to get out, play, and learn. 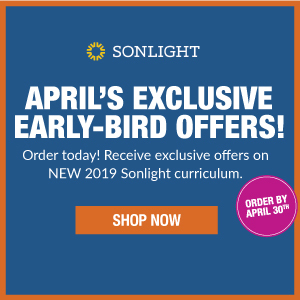 We have explored extensive learning topics with Sonlight electives and we were stretched to get out and try new things as a family. 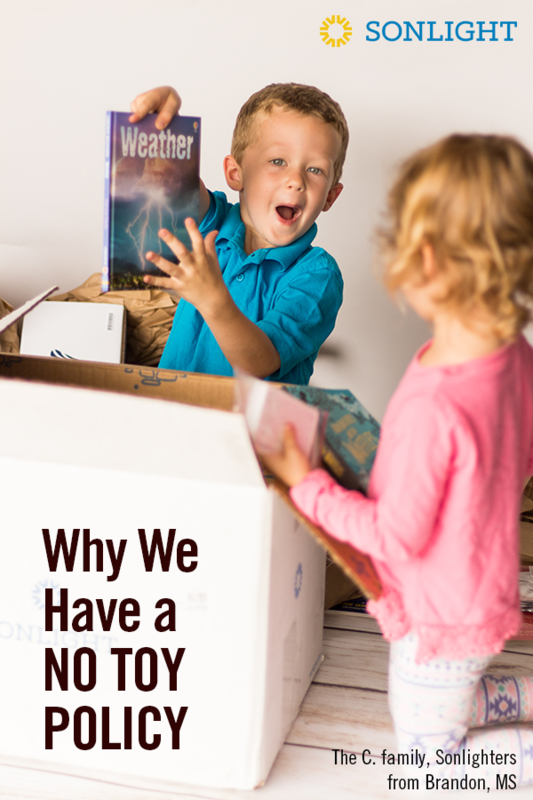 Our No Toy Policy has served us well and matched our family culture that values people over things, experiences over clutter. 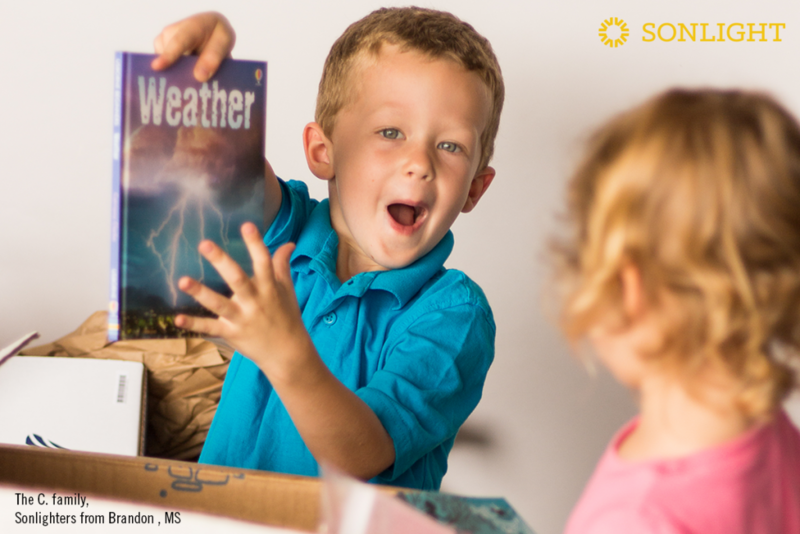 To see our recommendations for books, learning tools, and science kits, order a complimentary copy of your catalog today. Is it possible to transition into a no / minimal toy policy from a household that has toys? Do you have suggestions on how to tackle this? We have an almost 6yo son who loves to collect cars, play with trains & build tracks, and build & create with legos. He is also more of a homebody. Our almost 2yo daughter on the other hand is happiest playing with ordinary things like bottles & caps, water. She loves to be outdoors. We are also beginning our homeschool journey. While I am drawn to unschooling, I am really interested in literature based curriculum as the best bonding experiences with our son has been reading; he’s always been into reading since he was about 4 months old. The area we saw our friends struggle with the most was outside gifts. This is the area we chose to ask our family for help with. Knowing we wanted to keep our collections at a minimum, we did "No Gift" birthday parties if friends were invited. We also created a habit of regularly purging our toy collection and giving away items that the kids had out grown. This helped the kids observe opportunities to bless others and not be attatched to every toy they owned. (Though my daughter still reminds me of the time I threw away her one-armed doll, she was a favorite, so communication is key) The idea of curating collections over accumulating stuff helped us build a collection of well played with toys, like the ones your son enjoys now. Clutter and chaos is the thing we were trying to avoid. Congratulations on begining your homeschool journey. 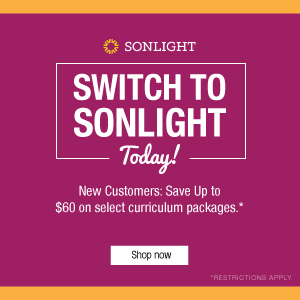 We've been using Sonlight for 16 years and love the strong connection we were able to form with our kids over the years we homeschooled. My three grads are book lovers and just got settled in for their first full year of college living. All of those hours reading are my greatest treasure. Some days are hard, but looking back, I have no regrets in my choice to homeschool.